If you want to support better metabolism you should try magnesium supplements. The one I found to be best is Pure Encapsulations Magnesium Glycinate for Metabolism. This line of products is always free of wheat and gluten, shellacs, GMOs and coatings. It took me awhile to search for and find the best magnesium glycinate but it was worth the time I put into that search. I found that buying online is all right to do but only if you research the product thoroughly. If you are getting it for the first time I suggest going in person to your local health food or vitamin store. 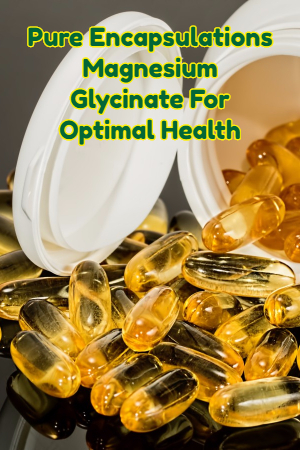 Ask for help there in finding a pure magnesium glycinate supplement. Read the labels on all the products. Taking these supplements helps boost your metabolism and it also helps enzymes form properly. Magnesium also helps other nutrients like the B vitamins get through your system properly. B vitamins help your nervous system and ward off stress. Once you find this brand, Pure Encapsulations, I think you will want to stick with them for any other supplements that you take. They are very careful about putting only the purest ingredients into their vitamins.